Indonesia is an archipelagic country that host the biggest number of ecological heavens and disasters events in the southern most of Asia. As home for 17,500 islands, Indonesia also hosts a 150 million people who live started from the most developed regions on Java and Bali islands, till the less developed settlements on small and medium-size islands across the country. Previous long term development strategy which was made the previous government regimes, has changed provinces on Java island become more attractive for investment activities rather than provinces outside of the island. 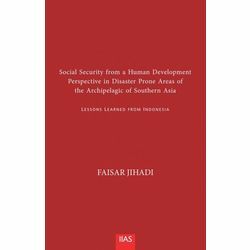 As the impact, today’s Government of Indonesia is dealing with bigger pressure to solve inter-islands inequality and its impact to national social protection strategy. This paper tries to revisit and synthesize relevant researches and up-to-dated work results to find practical solution to be made by national and sub national decision makers in Indonesia, to respond the above mentioned issue.